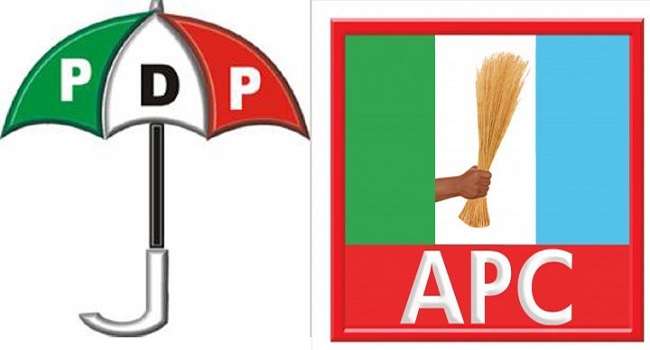 The Peoples Democratic Party (PDP) has accused the All Progressives Congress (APC) of sponsoring protests against members of the National Assembly. In a statement by their National Publicity Secretary Kola Ologbondiyan on Wednesday, they asked the ruling party to direct such energies to provide good governance for the people. The opposition party claimed that good governance has eluded the nation in the last three years, claiming that some top government officials allegedly paid some protesters to embarrass the lawmakers on Tuesday. They said such action was dangerous and capable of destroying the bedrock of Nigeria’s democracy, as well as pitching citizens against one another and driving the nation into anarchy. The PDP recalled that in April, some hoodlums gained access into the National Assembly, invaded the hallowed chambers of the Senate, and made away with the mace. They added that the lawmakers felt threatened by the incident which led to the disruption of proceedings in the parliament. The party noted that members of the National Assembly are direct representatives of the people and asked the APC to end their alleged plots against the lawmakers.